Do you ever feel that you spend way too much time on your phone or social media or comparing yourself to others? Many people use social media as a way to connect to one another, but increased use is actually associated with increases in perceived loneliness and social isolation. We want meaningful connections with other people, but we’re not really building them. Technology and media aren’t the problem—it’s how we use them, or how we let them use us. 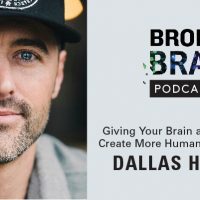 On today’s Broken Brain Podcast, our host, Dhru, talks to Dallas Hartwig, co-founder of the Whole30 program and co-author of two New York Times best selling books, It starts with Food and The Whole30. His newest program, More Social Less Media, helps people change their relationship with technology and media in order to connect with real life. In this episode, Dhru and Dallas talk about how to use technology and social media as a tool, and not let it rule your life, or your mental health. They discuss how to change your relationship with technology and how to create more meaningful human connection. We also hear about community and friendship and why they are so important to our mental health and overall wellness goals, and how to ultimately bring more connection into our lives. 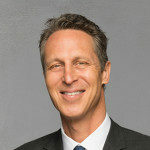 PS – For more on Dallas Hartwig, be sure to follow him on Instagram @dallashartwig and @moresociallessmedia, and on Facebook @mrdallashartwig and @moresociallessmedia. Check out his website http://dallashartwig.com and learn more about his newest program, More Social Less Media, here. You can find his books, It Starts with Food: Discover the Whole30 and Change Your Life in Unexpected Ways and The Whole30: The 30-Day Guide to Total Health and Food Freedom, right here.